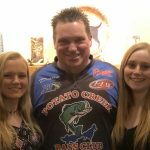 Kaylan Hook is the daughter of Kelly Hook, a member of the Lily Pad Bass Masters. A graduate of New Albany High School she is currently a freshman at the University of Southern Indiana. She is studying to be a dental hygienist. Unlike her father she prefers golf to fishing and is a member of the University of Southern Indiana Golf Team. 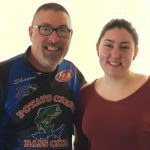 Kennedy is the step daughter of Dave Gee, a member of the Potato Creek Bass Club. She is a senior at Laville Junior Senior High School. She plans to attend Indiana University at South Bend where she will she will study to become a ultrasound technician. Her goal is to provide medical care in her community and surrounding areas. Caylee Gee is the daughter of Potato Creek Bass club member Dave Gee. 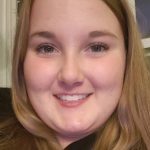 She graduated from Laville Junior Senior High School and is currently enrolled at Indiana University at South Bend where she is studying to be a dental hygienist and also small business. Her long term goal is to own her own business involving her true passion, horses.